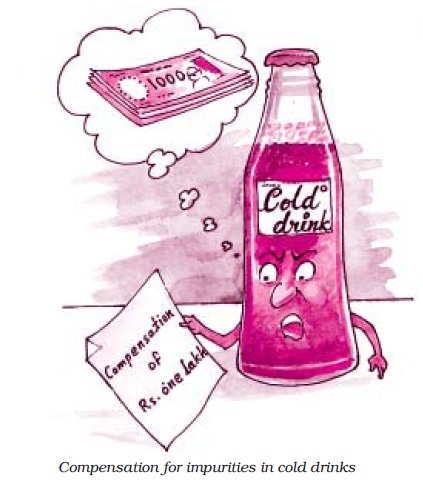 The Maharashtra State Consumer Commission has asked Coca Cola, one of the international fizzy drinks manufacturer, its bottler and distributor to pay Rs one lakh in damages to a consumer who found impurities in a bottle of soft drink that he had bought. Chandrashekhar Paradkar, a resident of Shankar Nagar area here, filed a complaint with the Nagpur district Consumer Grievances Fourm seeking compensation of Rupees four lakh after he found some solid objects inside a sealed bottle of a soft drink. He had bought six various brands of the soft drink— two bottles each of Mazaa, Coca Cola and Sprite from a shop near his house. Based on that, the District Forum earlier gave a ruling after finding Coca Cola, its bottlers Superior Drinks Pvt. Ltd. and distributors Balaji Sales guilty of supplying drinks unfit for human consumption, which was upheld by the State Consumer Commission. The District Forum had found objects resembling pieces of mosquito repellent mats floating inside the sealed bottle. Having conducted the tests by a Public Health Laboratory, they found the drink unfit for human consumption. The District Forum came down heavily on the company saying multinational giants would not be allowed to have a free run and exploit a poor country like India by manufacturing and marketing sub-standard products. While giving its ruling, the District Forum relied upon the historic Donald versus Stevenson case, wherein heavy compensation had been awarded to a consumer, who had found rusted nails inside a bottle of ginger beer. The above case is just one of the examples of the many problems that consumers might have to face in the purchase, use and consumption of goods and services. The case also highlights the need for an appropriate legal protection to be provided to consumers to protect them from various forms of exploitation from the seller. Have you ever thought what would be the plight of consumers if adequate protection is not provided to them? Can the present day businesses afford to ignore the interests of consumers? The area of consumer protection has emerged as a very important area of study having significance for both the consumers and businesses alike. may be tempted to engage in unscrupulous, exploitative and unfair trade practices like defective and unsafe products, adulteration, false and misleading advertising, hoarding, black-marketing etc. This means that a consumer might be exposed to risks due to unsafe products, might suffer from bad health due to adulterated food products, might be cheated because of misleading advertisements or sale of spurious products, might have to pay a higher price when sellers engage in overpricing, hoarding or blackmarketing etc. Thus, there is a need for providing adequate protection to consumers against such practices of the sellers. Let us now discuss the importance of consumer protection. 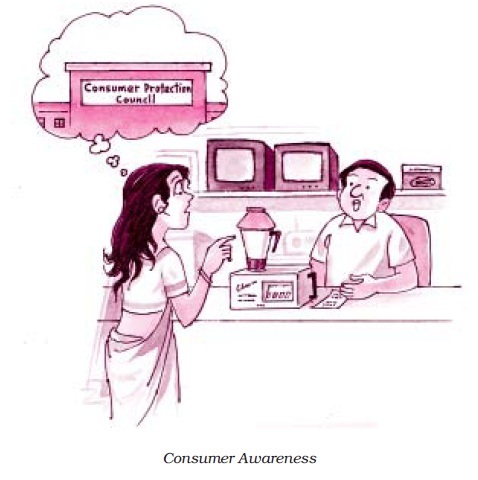 (i) Consumer Ignorance: In the light of widespread ignorance of consumers about their rights and reliefs available to them, it becomes necessary to educate them about the same so as to achieve consumer awareness. (ii) Unorganised Consumers: Consumers need to be organised in the form of consumer organisations which would take care of their interests. Though, in India, we do have consumer organisations which are working in this direction, adequate protection is required to be given to consumers till these organisations become powerful enough to protect and promote the interests of consumers. (i) Long-term Interest of Business: Enlightened businesses realise that it is in their long-term interest to satisfy their customers. Satisfied customers not only lead to repeat sales but also provide good feedback to prospective customers and thus, help in increasing the customer-base of business. Thus, business firms should aim at long-term profit maximisation through customer satisfaction. (ii) Business uses Society’s Resources: Business organisations use resources which belong to the society. They, thus, have a responsibility to supply such products and render such services which are in public interest and would not impair public confidence in them. (iii) Social Responsibility: A business has social responsibilities towards various interest groups. Business organisations make money by selling goods and providing services to consumers. Thus, consumers form an important group among the many stakeholders of business and like other stakeholders, their interest has to be well taken care of. (iv) Moral Justification: It is the moral duty of any business to take care of consumer’s interest and avoid any form of their exploitation. Thus, a business must avoid unscrupulous, exploitative and unfair trade practices like defective and unsafe products, adulteration, false and misleading advertising, hoarding, black marketing etc. (v) Government Intervention: A business engaging in any form of exploitative trade practices would invite government intervention or action. This can impair and tarnish the image of the company. Thus, it is advisable that business organisations voluntarily resort to such practices where the customers’ needs and interests will well be taken care of. In view of the above, the government of India has enacted several regulations designed to provide adequate protection to consumers. We shall now discuss some of these regulations. The Indian legal framework consists of a number of regulations which provide protection to consumers. Some of these regulations are as under. against defective goods, deficient services, unfair trade practices, and other forms of their exploitation. The Act provides for the setting up of a three-tier machinery, consisting of District Forums, State Commissions and the National Commission. It also provides for the formation of consumer protection councils in every District and State, and at the apex level. 2. The Contract Act, 1982: The Act lays down the conditions in which the promises made by parties to a contract will be binding on each other. The Act also specifies the remedies available to parties in case of breach of contract. 3. The Sale of Goods Act, 1930: The Act provides some safeguards and reliefs to the buyers of the goods in case the goods purchased do not comply with express or impliedconditions or warranties. 4. The Essential Commodities Act, 1955: The Act aims at controlling production, supply and distribution of essential commodities, checking inflationary trend in their prices and ensuring equal distribution of essential commodities. The Act also provides for action against anti-social activities of profiteers, hoarders and black-marketers. 5. The Agricultural Produce (Grading and Marking) Act, 1937: The Act prescribes grade standards for agricultural commodities and livestock products. 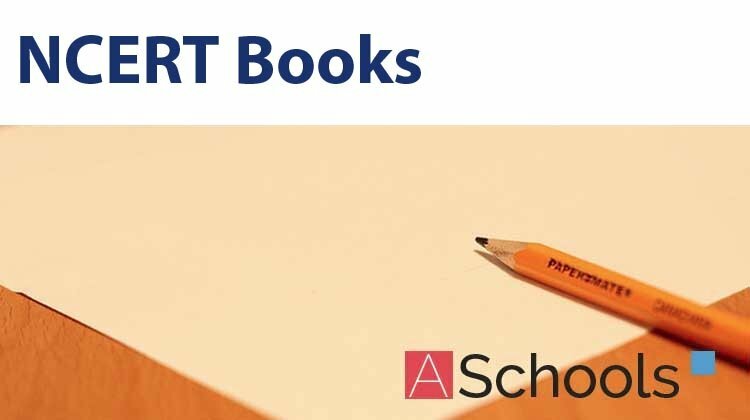 The Act stipulates the conditions which govern the use of standards and lays down the procedure for grading, marking and packing of agricultural produce. The quality mark provided under the Act is known as AGMARK, an acronym for Agricultural Marketing. 6. The Prevention of Food Adulteration Act, 1954: The Act aims to check adulteration of food articles and ensure their purity so as to maintain public health. 7. The Standards of Weights and Measures Act, 1976: The provisions of this Act are applicable in case of those goods which are sold or distributed by weight, measure or number. It provides protection to consumers against the malpractice of under-weight or under-measure. 8. The Trade Marks Act, 1999: This Act has repealed and replaced the Trade and Merchandise Marks Act, 1958. The Act prevents the use of fraudulent marks on products and thus, provides protection to the consumers against such products. 9. The Competition Act, 2002: This Act has repealed and replaced the Monopolies and Restrictive Trade Practices Act, 1969. The Act provides protection to the consumers in case of practices adopted by business firms which hamper competition in the market. 10. The Bureau of Indian Standards Act, 1986: The Bureau of Indian Standards has been set up under the Act. The Bureau has two major activities: formulation of quality standards for goods and their certification through the BIS certification scheme. Manufacturers are permitted to use the ISI mark on their products only after ensuring that the goods conform to the prescribed quality standards. The Bureau has also setup a grievance cell where consumers can make a complaint about the quality of products carrying the ISI mark. The most important of these regulations is the Consumer Protection Act which provides for six consumer rights and helps consumers in getting their grievances redressed for any shortcoming in the goods purchased or services availed. The Consumer Protection Act (CPA) seeks to protect and promote the consumers’ interest through speedy and inexpensive redressal of their grievances. The scope of the Act is very wide. It is applicable to all types of undertakings, big and small, whether in the private or public sector, or in the co-operative sector, whether a manufacturer or a trader, and whether supplying goods or providing services. The Act confers certain rights to consumers with a view to empowering them and to protect their interests. 1. Right to Safety: The consumer has a right to be protected against goods and services which are hazardous to life and health. For instance, electrical appliances which are manufactured with substandard products or do not conform to the safety norms might cause serious injury. Thus, consumers are educated that they should use electrical appliances which are ISI marked as this would be an assurance of such products meeting quality specifications. 2. Right to be Informed: The consumer has a right to have complete information about the product he intends to buy including its ingredients, date of manufacture, price, quantity, directions for use, etc. It is because of this reason that the legal framework in India requires the manufactures to provide such information on the package and label of the product. 3. Right to Choose: The consumer has the freedom to choose from a variety of products at competitive prices. This implies that the marketers should offer a wide variety of products in terms of quality, brand, prices, size, etc. and allow the consumer to make a choice from amongst these. 4. Right to be Heard: The consumer has a right to file a complaint and to be heard in case of dissatisfaction with a good or a service. It is because of this reason that many enlightened business firms have set up their own consumer service and grievance cells. Many consumer organisations are also working towards this direction and helping consumers in redressal of their grievances. 5. Right to seek Redressal: The consumer has a right to get relief in case the product or service falls short of his expectations. The Consumer Protection Act provides a number of reliefs to the consumers including replacement of the product, removal of defect in the product, compensation paid for any loss or injury suffered by the consumer, etc. 6. Right to Consumer Education: The consumer has a right to acquire knowledge and to be a well informed consumer throughout life. He should be aware about his rights and the reliefs available to him in case of a product or service falling short of his expectations. Many consumer organisations and some enlightened businesses are taking an active part in educating consumers in this respect. The Consumer Protection Act by conferring these rights on the consumers empowers them to fight against any unscrupulous, exploitative and unfair trade practices adopted by sellers. The Box on East Delhi eatery shows how a restaurant owner was fined for overpricing bottled water. A restaurant owner in east Delhi has been directed to pay a fine of Rs. 5,000 to a customer who was asked to shell out Rs. 34 for a water bottle which had a maximum retail price (MRP) of Rs.12. The fine comes at a time when consumer courts are turning the heat on shop-owners who overcharge. In a recent landmark decision, the state consumer commission had slapped a fine of Rs. 50,000 on a cineplex for similar malpractice. Goel was awarded the compensation by east district consumer forum president and members directing Zaika Bazaar, Karkardooma Complex, to compensate Goel for overcharging. The Forum said: “The present complaint is covered by the judgment of the state consumer commision in case of Nirulas vs Ankit Jain in which it said no trader or service provider can charge more price than an item’s MRP printed on the packed item, if delivered packed”. Ordering the restaurant owner to discontinue the malpractice, the forum said charging higher amount than MRP, if delivered in packed form, was against the law of the land. Goel had bought a bottle of Aquafina water from the restaurant in November last year and was asked to pay Rs.34 for it, including a VAT of Rs. 4, when the bottle had a MRP of Rs.12 printed on it. Consumer rights, by themselves, cannot be effective in achieving the objective of consumer protection. Consumer protection can, in effect, be achieved only when the consumers also understand their responsibilities. A consumer should keep in mind the following responsibilities while purchasing, using and consuming goods and services. (i) Be aware about various goods and services available in the market so that an intelligent and wise choice can be made. (ii) Buy only standardised goods as they provide quality assurance. 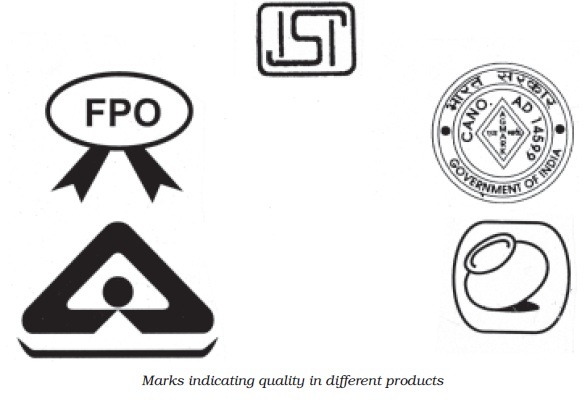 Thus, look for ISI mark on electrical goods, FPO mark on food products, Hallmark on jewelry etc. (iii) Learn about the risks associated with products and services, follow manufacturer’s instructions and use the products safely. (iv) Read labels carefully so as to have information about prices, net weight, manufacturing and expiry dates, etc. (v) Assert yourself to ensure that you get a fair deal. (vi) Be honest in your dealings. Choose only from legal goods and services and discourage unscrupulous practices like black-marketing, hoarding etc. (vii) Ask for a cash memo on purchase of goods or services. This would serve as a proof of the purchase made. shortcoming in the quality of goods purchased or services availed. Do not fail to take an action even when the amount involved is small. (ix) Form consumer societies which would play an active part in educating consumers and safeguarding their interests. (x) Respect the environment. Avoid waste, littering and contributing to pollution. A consumers’ awareness about his rights and responsibilities is just one of the ways in which the objective of consumer protection can be achieved. There are other ways in which this objective may be achieved. There are various ways in which the objective of consumer protection can be achieved. 1. Self Regulation by Business: Enlightened business firms realise that it is in their long-term interest to serve the customers well. Socially responsible firms follow ethical standards and practices in dealing with their customers. Many firms have set up their customer service and grievance cells to redress the problems and grievances of their consumers. 2. Business Associations: The associations of trade, commerce and business like Federation of Indian Chambers of Commerce of India (FICCI) and Confederation of Indian Industries (CII) have laid down their code of conduct which lay down for their members the guidelines in their dealings with the customers. 3. Consumer Awareness: A consumer, who is well informed about his rights and the reliefs available to him, would be in a position to raise his voice against any unfair trade practices or unscrupulous exploitation. In addition to this, an understanding of his responsibilities would also enable a consumer to safeguard his interests. 4. Consumer Organisations: Consumer organisations play an important role in educating consumers about their rights and providing protection to them. These organisations can force business firms to avoid malpractices and exploitation of consumers. Act provides for a three-tier machinery at the district, state and national levels for redressal of consumer grievances. The redressal mechanism under this three-tier machinery has been explained hereunder. For the redressal of consumer grievances, the Consumer Protection Act provides for setting up of a threetier enforcement machinery at the District, State, and the National levels, known as the District Consumer Dispute Redressal Forum, State Consumer Disputes Redressal Commission, and the National Consumer Disputes Redressal Commission. They are briefly referred to as the ‘District Forum’, ‘State Commission’, and the ‘National Commission’, respectively. While the National Commission is set up by the Central Government, the State Commissions and the District Forums are set up, in each State and District, respectively, by the State Government concerned. The Figure on redressal agencies shows the hierarchical structure of this three-tire machinery. Before studying the set-up and functioning of these redressal agencies let see how the Consumer Protection Act defines a consumer and who can file a complaint under the Consumer Protection Act. (a) Any person who buys any goods for a consideration, which has been paid or promised, or partly paid and partly promised, or under any scheme of deferred payment. It includes any user of such goods, when such use is made with the approval of the buyer, but does not include a person who obtains goods for re-sale or any commercial purpose. (b) Any person who hires or avails of any service, for a consideration which has been paid or promised, or partly paid and partly promised, or under any system of deferred payment. It includes any beneficiary of services when such services are availed of with the approval of the person concerned, but does not include a person who avails of such services for any commercial purpose. 1. District Forum: The District Forum consists of a President and two other members, one of whom should be a woman. They all are appointed by the State Government concerned. 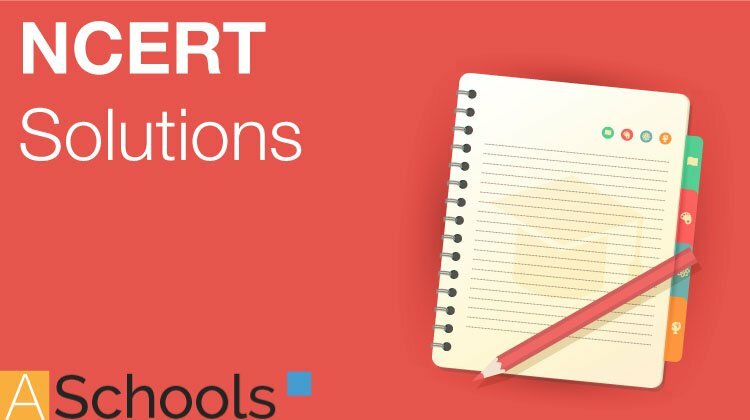 A complaint can to be made to the appropriate District Forum when the value of the goods or services in question, along with the compensation claimed, does not exceed Rs. 20 lakhs. On receiving the complaint, the District Forum shall refer the complaint to the party against whom the complaint is filed. If required, the goods or a sample thereof, shall be sent for testing in a laboratory. The District Forum shall pass an order after considering the test report from the laboratory and hearing to the party against whom the complaint is filed. In case the aggrieved party is not satisfied with the order of the District Forum, he can appeal before the State Commission within 30 days of the passing of the order. 2. State Commission: Each State Commission consists of a President and not less than two other members, one of whom should be a woman. They are appointed by the State Government concerned. A complaint can to be made to the appropriate State Commission when the value of the goods or services in question, along with the compensation claimed, exceeds Rs. 20 lakhs but does not exceed Rs. 1 crore. The appeals against the orders of a District Forum can also be filed before the State Commission. On receiving the complaint, the State Commission shall refer the complaint to the party against whom the complaint is filed. If required, the goods or a sample thereof, shall be sent for testing in a laboratory. The State Commission shall pass an order after considering the test report from the laboratory and hearing to the party against whom the complaint is filed. In case the aggrieved party is not satisfied with the order of the State Commission, he can appeal before the National Commission within 30 days of the passing of the order. 3. National Commission: The National Commission consists of a President and at least four other members, one of whom should be a woman. They are appointed by the Central Government. A complaint can to be made to the National Commission when the value of the goods or services in question, along with the compensation claimed, exceeds Rs. 1 crore. The appeals against the orders of a State Commission can also be filed before the National Commission. On receiving the complaint, the National Commission shall refer the complaint to the party against whom the complaint is filed. If required, the goods or a sample thereof, shall be sent for testing in a laboratory. The National Commission shall pass an order after considering the test report from the laboratory and hearing to the party against whom the complaint is filed. An order passed by the National Commission in a matter of its original jurisdiction is appealable before the Supreme Court. This means that only those appeals where the value of goods and services in question, along with the compensation claimed, exceeded Rs. If the consumer court is satisfied about the genuineness of the complaint, it can issue one or more of the following directions to the opposite party. (i) To remove the defect in goods or deficiency in service. (ii) To replace the defective product with a new one, free from any defect. (iii) To refund the price paid for the product, or the charges paid for the service. iv) To pay a reasonable amount of compensation for any loss or injury suffered by the consumer due to the negligence of the opposite party. (v) To pay punitive damages in appropriate circumstances. (vi) To discontinue the unfair/ restrictive trade practice and not to repeat it in the future. (vii) Not to offer hazardous goods for sale. (viii) To withdraw the hazardous goods from sale. (ix) To cease manufacture of hazardous goods and to desist from offering hazardous services. (x) To pay any amount (not less than 5% of the value of the defective goods or deficient services provided), to be credited to the Consumer Welfare Fund or any other organisation/person, to be utilised in the prescribed manner. Under the Consumer Protection Act, a consumer can file a complaint against the manufacturers or sellers for any defective good supplied to him or any deficient services rendered to him. In Jose Philip Mampillil vs. M/s Premier automobiles Ltd. & Anr, a diesel car purchased by the appellant (consumer) was found defective. The defects in the car were not removed by the defendants (manufacturer and dealer). The Commissioner appointed by the District Forum found a large number of defects in the car. Consequently, the District Forum directed repair of car free of cost and replacement of engine. The order was upheld by the State Commission except for the direction for replacement of engine. In the case of Sashikant Krishnaii Dole vs. Shikshan Prasarak Mandali, the National Commission held that failure to amount basic safeguards in the swimming pool amounts to deficiency in service. A school owned a swimming pool and offered swimming facilities to the public on payment of a fee. The school conducted winter and summer training camps to train boys in swimming and for this purpose engaged a coach. The plaintiffs enrolled their only son for learning swimming under the guidance of the coach. It was alleged that due to the negligence of the coach, the boy drowned and died. The school denied any responsibility on its part. The coach claimed that he had considerable experience in coaching young boys is swimming. When the deceased was found to have been drowned, the coach immediately took him out of the water and removed the water from his stomach and gave him artificial respiration and thereafter took him to a doctor. The doctor advised that the boy be taken to the nearest hospital where the boy died. The State Commission held the school and the coach deficient in rendering service to the deceased. On appeal, the order was upheld by the National Commission. (xi) To issue corrective advertisement to neutralise the effect of a misleading advertisement. (xii) To pay adequate costs to the appropriate party. Brings out some decided cases where a complaint was filed in a consumer court for defective goods and deficient services. CERS Wins Case against Railways In a case filed by Consumer Education and Research Society (CERS), Ahmedabad, and a senior couple, the Consumer Dispute Redressal Forum, Ahmedabad City, has held the Railways responsible for negligence and directed it to pay Rs. 2000 to the couple for its mental agony and Rs. 3000 towards cost. Mr. Man Mohan Singh and his wife Kamlesh had bought a railway journeycum- reservation ticket at Ahmedabad for travel from New Delhi to Kanpur Central by the Shatabdi Express on 2 December 2001. The details on the ticket, including the coach number, the date of journey, etc., were illegible. Hence, they were forced to buy another ticket for journey from New Delhi to Kanpur. They applied for a refund for the earlier ticket but, as the Forum noted, they had to suffer much for the purpose. In spite of the couple’s giving the Ahmedabad residential address for sending the refund, the Railways sent it to their Delhi address. They approached CERS for help. CERS filed a complaint against the Railways before the Consumer Dispute Redressal Forum, Ahmedabad City, under Sections 2(1)(g) and 2(1)(o) of the Consumer Protection Act, 1986. CERS claimed that the two senior citizens had to face mental harassment due to the deficiency in service by the Railways. The Railways contended, among other things, that the Forum had no territorial jurisdiction after cancellation of the ticket, the couple were no more consumers in the eye of the law, the complaint was time-barred and the Railway Claim Tribunal was the proper forum to entertain the complaint about refund. The Forum, however, observed that the couple’s difficulties amounted to the Railways’ deficiency in service and ordered it to pay Rs. 2000 to the couple for the mental agony suffered by them and Rs. 3000 as cost. The Forum did not decide on the amount of refund, which it said, was “to be exclusively dealt with by the Railway Claim Tribunal”. (i) Educating the general public about consumer rights by organising training programmes, seminars and workshops. (ii) Publishing periodicals and other publications to impart knowledge about consumer problems, legal reporting, reliefs available and other matters of interest. (iii) Carrying out comparative testing of consumer products in accredited laboratories to test relative qualities of competing brands and publishing the test results for the benefit of consumers. (iv) Encouraging consumers to strongly protest and take an action against unscrupulous, exploitative and unfair trade practices of sellers. (v) Providing legal assistance to consumers by way of providing aid, legal advice etc. in seeking legal remedy. (vi) Filing complaints in appropriate consumer courts on behalf of the consumers. (vii) Taking an initiative in filing cases in consumer courts in the interest of the general public, not for any individual. (x) The Bureau of Indian Standards Act, 1986. Consumer Rights: The Consumer Protection Act, 1986 provides for six consumer rights. These are (i) Right to safety, (ii) Right to be Informed, (iii) Right to choose, (iv) Right to be heard, (v) Right to seek redressal,(vi) Right to consumer education. Consumer Responsibilities: In addition to exercising his rights, a consumer should also keep in mind his responsibilities while purchasing, using and consuming goods and services. Ways and Means of Consumer Protection: There are various ways in which the objective of consumer protection can be achieved. These Include (i) Self regulation by business, (ii) Business associations, (iii) Consumer awareness,(iv) Consumer organisations, (v) Government. Redressal Agencies under the Consumer Protection Act: The Consumer Protection Act provides for setting up of a three-tier enforcement machinery at the District, State, and the National levels. They are referred to as the ‘District Forum’, ‘State Commission’, and the ‘National Commission’. There are various reliefs available to a consumer under the Act. The appropriate consumer court may pass an order for removal of defect in goods, replace a defective product, refund the price of the product etc. Consumer Organisations and NGOs: In India, several consumer organisations and non-governmental organisations (NGOs) are playing an active role in protection and promotion of consumers’ interests. (i) Consumer protection has a moral justification for business. (ii) In addition to rights, a consumer also has some responsibilities. (iii) A complaint can to be made to a District Forum when the value of the goods or services in question, along with the compensation claimed, exceeds Rs. 20 lakhs. (iv) The Consumer Protection Act provides for six consumer rights. (v) ISI is the quality certification mark used in case of food products. (i) Explain the importance of consumer protection from the point of view of a business. (ii) Enumerate the various Acts passed by the Government of India which help in protection of consumers’ interests. (iii) What are the responsibilities of a consumer? (iv) Who can file a complaint in a consumer court? (v) What kind of cases can be filed in a State Commission? (vi) Explain the role of consumer organisations and NGOs in protecting and promoting consumers’ interests. (i) Explain the rights and responsibilities of a consumer. 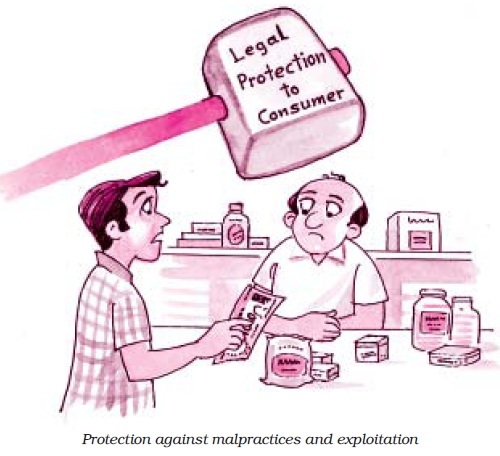 (ii) What are various ways in which the objective of consumer protection can be achieved? Explain the role of consumer organisations and NGOs in this regard. (iii) Explain the redressal mechanism available to consumers under the Consumer Protection Act, 1986. (i) Visit a consumer organisation in your town. List down the various functions performed by it. (ii) Collect some newspaper cuttings of some consumer cases and the rulings given therein. Now, filing complaint is just a click away. Filing a complaint in a consumer court’s going to get a lot easier by the end of this year, virtually. No matter which part of the country you’re in, it’s going to happen at the click of a mouse. The project, called Confonet (Computerisation and Computer Networking of Consumer Fora), is being executed on a turnkey basis by the National Informatics Centre (NIC). ”Online registration of complaints, the government hopes, will promote e-governance, transparency, efficiency and streamlining of consumer fora,” said an official in the consumer affairs ministry. Of Rs 48.64 crore set aside for the project, the government has released Rs 30.56 crore so far, the official added. ”Besides software development and testing, networking and project implementation, integration and site preparation, it will include purchase of hardware for all the 583 district fora, 35 state commissions and the National Commission,” the official said. At present, computer systems and system software have been delivered to 25 state commissions and 300 district fora — never mind the fact that it’s sometimes a long wait before the hardware is finally unpacked and set up in some of the districts. Meanwhile, training of staff, sometimes in the classroom and sometimes through e-learning sessions, are in full swing. 1. What new measure is the ministry of consumer affairs taking to make filing of complaint easy? 2. What role can you as a student play to contribute to the cause of consumer protection?